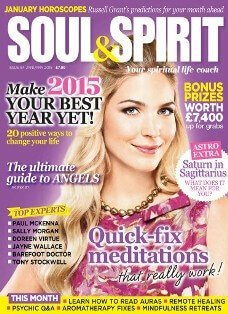 I was very excited, and honoured, to be invited by Soul & Spirit magazine to write some features for their website recently. It’s a magazine that I’ve always read which has some fabulous articles about lots of mind, body and spirit topics. The first was called seven easy ways to switch on your sixth sense and how you can use it to realise your full potential and become the happy, fulfilled and satisfied person that you have always wanted to be. There will be other features coming up over the next few weeks, I’ll keep you posted on social media and via this blog so you can see what I’ve been writing about.